Fabio Muscedere is pouring samples of his family’s wine for me to try at their tasting room south of Windsor. His sister, Melissa, who’s the wine business expert and runs day-to-day operations, is bustling about and greeting others who’ve wandered into the tasting room. 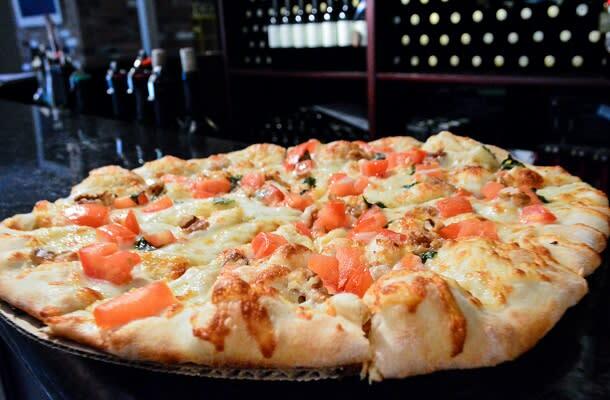 Outside, Fabio’s mother, Pat, is busy sliding trays of fresh-made dough into the outdoor pizza oven on their shady patio. 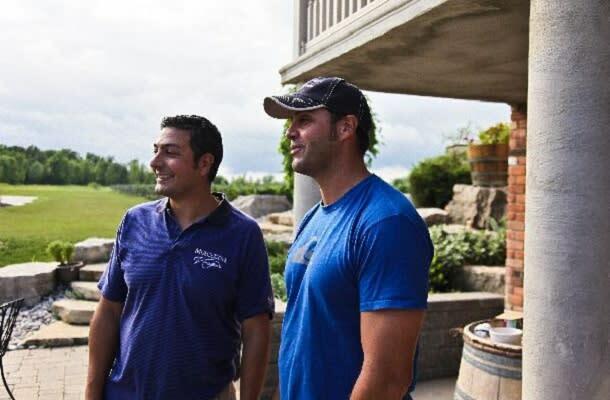 Their Dad, Mario, is bouncing along in his tractor in the vineyards, clearing weeds and keeping an eye on the grapes that are ripening in this hot Ontario summer. The son of Fabio’s brother Rob, who was instrumental in setting up the Muscedere Winery, is standing on a patch of grass near the outdoor patio, playing with a tethered goat who entertains visitors – and family members – and keeps the lawn from getting too shaggy. Yeah, you might say Muscedere Vineyards is a family enterprise. More importantly, this is a family that knows how to make very good wine. Harrow, Ontario (the nearest town) isn’t exactly known as a wine hot spot. But Muscedere and other wineries, including nearby Sprucewood, are slowly changing the mindset of wine snobs (something I’ve been accused of being by my father) all over the world. 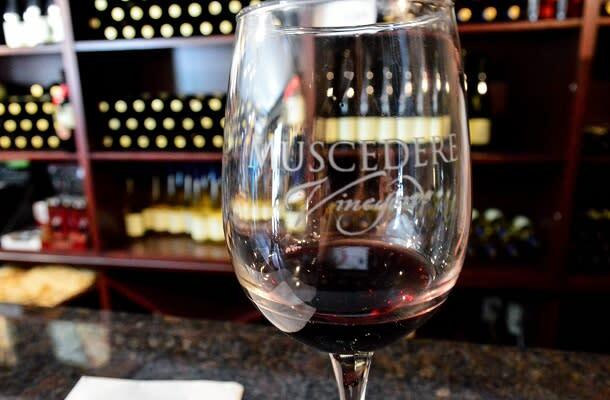 I didn’t know what to expect when I pulled up at Muscedere’s tasting room, which is located in the cool bottom floor of the family home north of Harrow. What I found was excellent wine, especially the full-bodied reds. Lots of folks told Fabio and Rob they were crazy. But they tested the clay soils in the area and looked at the weather patterns and figured red wines would ripen very nicely in the region, just a few clicks north of Lake Erie. I couldn’t agree more. The reds I tasted were bold and smooth and rich with the taste of warm summers and tender care. The Syrah was nice but I was especially fond of the Meritage, a blend of Cabernet Sauvignon, Merlot and Cabernet Franc. The pizza Pat made for me was pretty darned good, too. “My grandfather had worked in the wine business in Italy and even he thought we might be crazy. When we started the only folks around here were Colio and Pelee, but it’s worked well for us. “The nice thing is we knew nothing when we started, so we were open-minded about how to make our wines,” he says with a laugh. 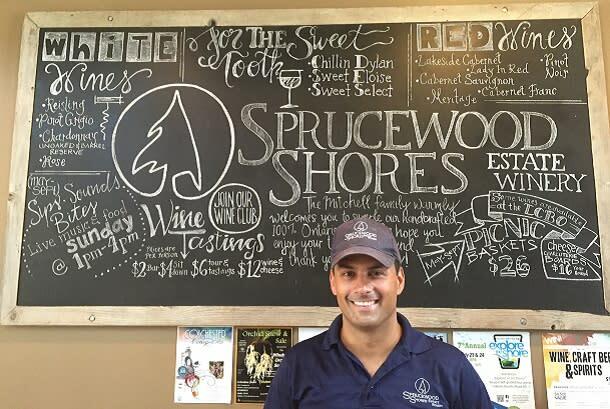 Down at Sprucewood Shores Estate Winery, I find a stone and wood tasting room that feels like southwest Ontario meets Tuscay. The wines aren’t quite as bold as at Muscedere, but that could be because the winery is perhaps 100 meters from Lake Erie. I taste fine Riesling and a nice Pinot Grigio, as well as a good Lady in Red blend that would be nice with a burger or pizza. Many of their wines are available at the Liquor Control Board of Ontario, says Steve Mitchell, president, sales and marketing. Sprucewood also is a family affair, as Mitchell’s sister Tonya is chief winemaker and director of operations. His brother, Jake, handles artwork and IT issues. In addition to “regular” wines, Sprucewood makes mulled wine and flavoured wines. 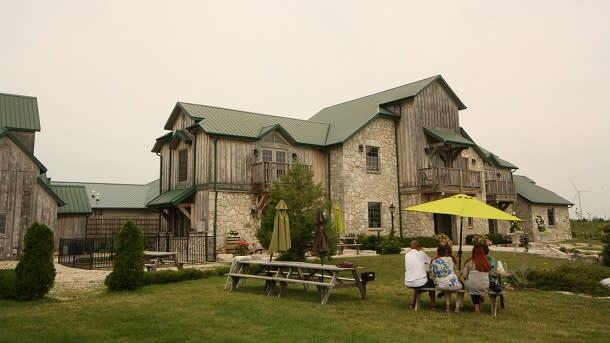 Wine tours and winery visits are big in Ontario’s Southwest. But you’ll also find a great craft distillery called Wolfhead, located outside the lovely village of Amherstburg (more on that in a blog posting I’ll put up next week). The distillery opened for business only a couple months ago, and it’s the only craft distillery in Ontario west of Stratford, owner Tom Manherz tells me. I try a nice vodka and a good grapefruit vodka. My favourite by far is the whisky with coffee, a special blend imported from Costa Rica and cold-brewed for a special flavour. I ask him how he got into the business and he laughs. Manherz spent 27 years in the lumber business just down the road and lives in Amherstburg. Not only does he have a license to make craft liquor, he also has one that allows him to run a restaurant in the same building; not something you see a lot in Ontario. I try the fish tacos with mango, pineapple and cabbage. They’re tasty and lightly blackened, but I’d prefer a bit more spice. 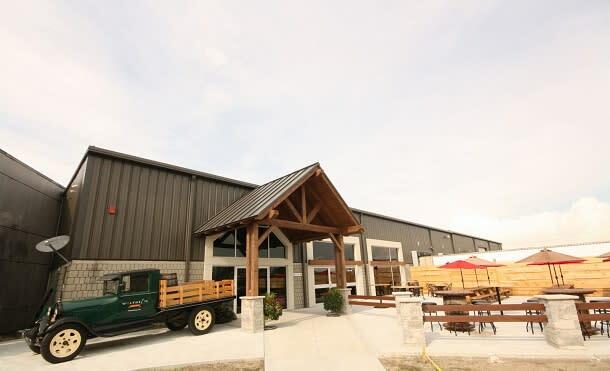 In addition to tasting and eating, Wolfhead offers tours of the facility so you can learn how things are made. I had hoped to stay at the Iron Kettle B & B but couldn’t make it. Which is too bad, as the place looks quite cool. 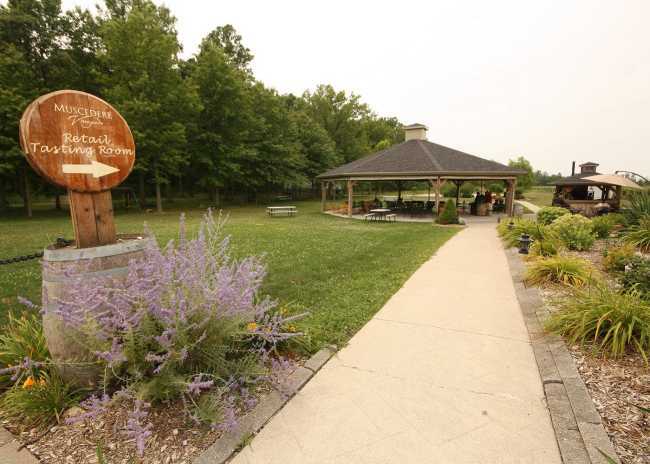 It’s located in a beautiful-looking old home in the village of Comber, which seems quiet and comfortable but is just one kilometre from Highway 401 and a half-hour from Windsor. The furnishings and design look top-notch, which makes it all the worse that I missed out. There’s also a great story behind the place. Benjamin Leblanc-Beaudoin and Ginette Tremblay spent their wedding night at the B &B in July, 2013. They later found it was for sale and they bought it and moved in in April 2014. Catch more of Jim Byers&apos; adventures at JimByersTravel.com.